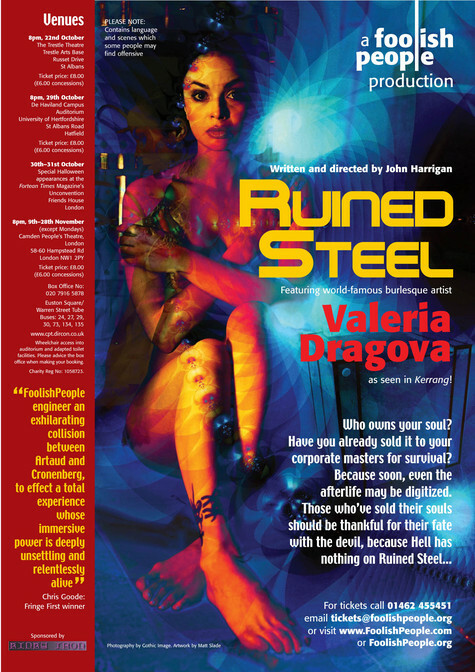 Ruined Steel was FoolishPeople's 2004 live art production. Here is the final graphic posters that advertised the show and recieved great reviews. For more information about Foolish People and there current developments click the link below.